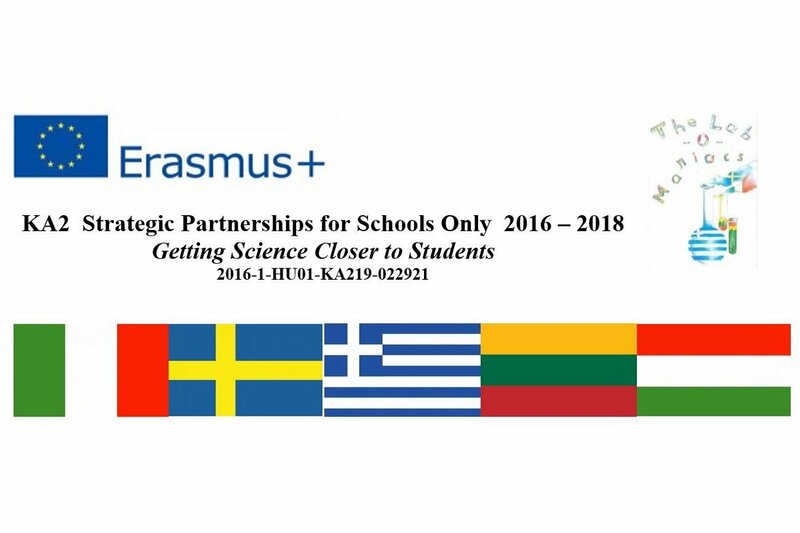 Five secondary schools in Hungary, Greece, Italy, Lithuania, and Sweden established a partnership to implement a project focusing on teaching science. 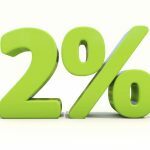 The main objective of our project was to make science subjects more popular with students and orientate them to choose a career in the technical field or apply to college or university where they will study maths, physics, biology, and chemistry. The main goal was to establish and enhance their employability. We also wanted to attract more young people to follow in our footsteps and wanted to teach science subjects in the future. To reach our goals teachers of science carried out experiments with their students in the schools’ laboratory and in the nature of physics, biology and chemistry. The Lithuanians have fully fulfilled their commitments and goals. Our team produced digital educational materials we can use in our lessons to improve the students’ basic skills in maths and science subjects: General properties of clay; Physical properties of silk; The production process of silk; Marie Curie; Tadas Ivanauskas; Gregor Mendel- father of modern genetics; Great inventors; Global warming; Facts about the history of microscope; Lessons for ActivInspire board: Pyramid; Square root. Project dissemination on TV: ŠTV. Infostudija 2016-10-28 (https://www.youtube.com/watch?v=kYoUi8CecNc&t=18s). As for dissemination of the project we had to organize a science festival. Students from 7 different schools attended lessons and performed a variety of experiments (6 days; about 200 students attended these different workshops). In autumn 2016 and 2017 we had engineering shows for our students and students from other schools to make science more popular among students and orientate them to choose a career in the technical field: physics, biology or chemistry. 3rd grade students had to prepare their own projects and present them to the school community. Some of the students chose to work on Erasmus+ projects, while the others chose to deepen their knowledge in certain fields of biology, chemistry, physics, mathematics . They were working on these projects all year and at the end of May 2018, we had a project presentation days: students presented their work to the school community. Project dissemination in local newspaper: “Šiaulių kraštas” 2017-10-03 An article in the newspaper: Nr. 330324. 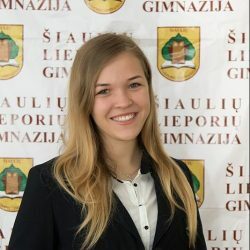 Tarptautiniai Erasmus+ projektai+inovatyvesnis kelias į mokymosi ir pažinimo pasaulį. „Šiaulių kraštas“, p. 7. 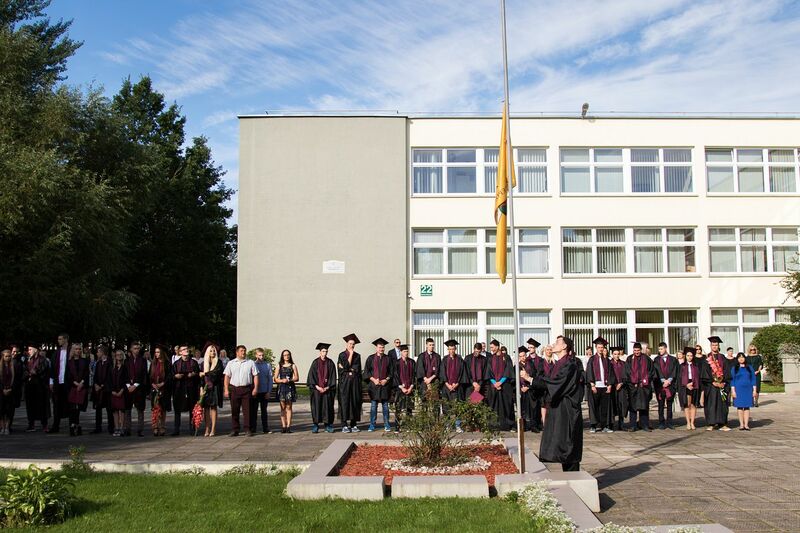 2016 october 12 Project dissemination day for the school 2018-06-11 Project dissemination in local e-newspaper: https://www.etaplius.lt 2018-08-24 Project dissemination in schools webpage and facebook page. Also we prepared a special wall in the school lobby to disseminate the funded projects. As for the follow up of the project we took part in the procession of Siauliai city days 7th September, 2018. 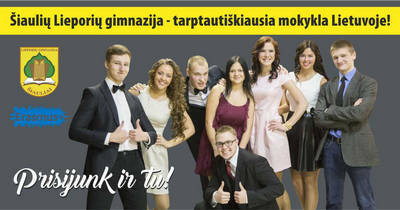 We presented our school as the most international ERASMUS+ projects school in Lithuania. Meeting for parents- (19th September 2018) ERASMUS+ projects was one of the presented issue.